Android’s mission, from day one, has been to bring the power of computing to everyone. We’re proud that the platform has made mobile technology accessible and useful to billions of people over the last 10 years. While we continue to celebrate Android’s open platform, we’ve been working closely with our partners to bring a consistent hardware and software experience that meets the expectations of users all around the world. This week at Mobile World Congress, a new generation of smartphones were announced through our two programs: Android Oreo (Go edition) and Android One. Alcatel introduced its first Android Oreo (Go edition) phone with the Alcatel 1X, featuring the latest Alcatel smartphone design language and technology. General Mobile announced the “GM 8 Go,” its first product with Android Oreo (Go edition), as part of the company’s plan to bring computing to more people in Turkey and around the world. HMD Global announced the Nokia 1, a high quality Android Oreo (Go edition) device that delivers smartphone essentials with the reassuring quality users expect of a Nokia phone in a refreshingly familiar design to fans around the world. Huawei has also committed significant resources to supporting Android Oreo (Go edition) smartphones and will be bringing a device to all major emerging markets in the near future. LAVA International Limited introduced the LAVA Z50, which will soon be available at over 100,000 retail stores in India. Micromax Informatics gave a first glimpse of BHARAT GO, its first Android Oreo (Go Edition) smartphone, with the goal to convert millions of feature phone users onto these smartphones. TRANSSION announced it will release Android Oreo (Go edition) phones across its brands, TECNO, itel and Spice, which will cater to a wide range of consumer groups across a diverse set of international markets, particularly Africa. ZTE featured the ZTE Tempo Go, an unlocked smartphone running Android Oreo (Go edition), that looks to provide an optimized and powerful entry level smartphone experience. Following the 2017 launches from HTC, Kyocera, Motorola, Sharp, and Xiaomi, we added several new devices to our global Android One portfolio. Each of these devices pairs high quality hardware from our OEM partners with a software experience designed by Google to deliver an experience that is smart, secure, and simply amazing. 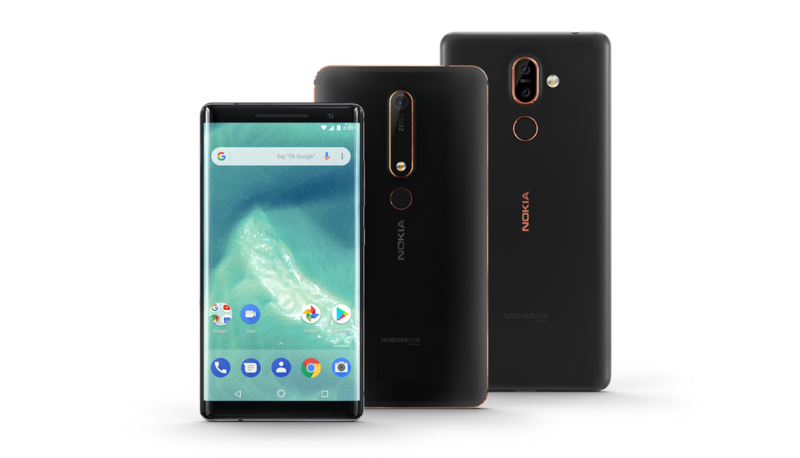 To kick off the show in Barcelona, HMD Global unveiled the new Nokia 6, Nokia 7 Plus and Nokia 8 Sirocco, a range of new premium and mid-tier Android One devices. With the latest Google innovations out of the box and two years of OS upgrades, these devices will deliver an easy to use experience that gets better over time. With Google Play Protect and three years of regular security updates, these will be among the most secure devices available. In addition, BQ recently previewed two Android One devices, the Aquaris X2 Pro and Aquaris X2, both committed to security and a great Android experience. General Mobile also unveiled their fifth Android One device, the GM8, which will be available in the coming months. In the decade since the launch of Android, we have achieved amazing things due to the open nature of the platform and the vibrant ecosystem of partners. Looking ahead to the next 10 years, we’re committed to strengthening our partnerships to foster innovation, and bringing consistent and high-quality experiences to everyone. We would also like to congratulate our existing partners on launching their latest flagship phones, including Samsung Galaxy S9, Sony Xperia XZ2 and XZ2 Compact, at Mobile World Congress. Together with the new partners of Android Oreo (Go edition) and Android One, Android will continue to offer great choice and diversity of devices that meet the needs of our users.